This Life with a Cat MatMates recycled rubber pet indoor & outdoor doormat is the perfect mat for any cat lover's home. You already know that life is better with a cat, so let all those people that come to your home know it as well. This MatMates welcome mat is manufactured to high standards using only the best materials. The mat starts off with a 100% recycled rubber backing great from the distinguished home owner that wants to add a "green" product to their decor. The top portion of the mat is made with non-woven polyester that is dye injected to make for a lasting and crystal clear image. 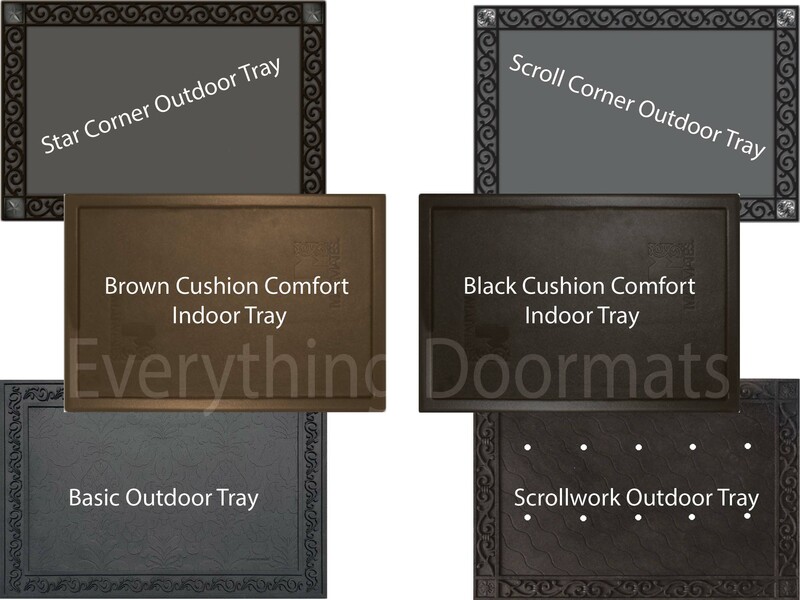 In addition to all those features, this insert doormat works great as a stand-alone Welcome Mat or as an insert in one of our innovative and unique indoor or outdoor trays. These trays add a touch of class or comfort where ever you decide to employ then in your home. When used by itself this MatMates insert doormat is 18" x 30". To see how to care for your new mat simply go to our clean and care page here. Note: The Rubber Pet Indoor & Outdoor Life with a Cat MatMates is pictured in our Brown Cushion Comfort Tray. The outdoor trays and Cushion Comfort Trays are sold separately.